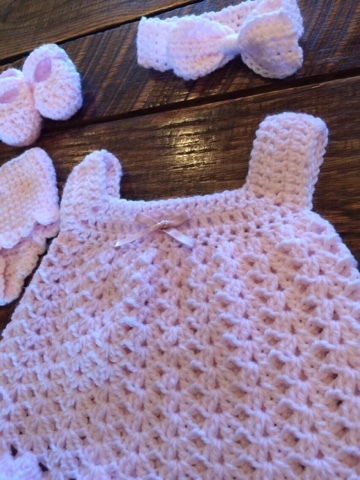 In the past few months, I have been honored by being asked to make a 'layette' for a couple of different baby girls that are due in the late spring. Baby stitching is probably one of the most enjoyable makings that I do because it works up so rapidly and it is so stinkin sweet. 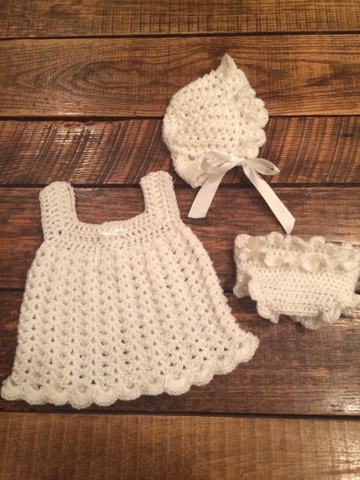 These old fashioned layettes are not as popular as they were many years ago, but hopefully they are making a comeback and maybe I am helping that cause. I tried to make each one light and airy because of almost summer babies, a heavy dress would not be ideal. This little dress is so light that it should work perfectly for those hot summer days ahead. 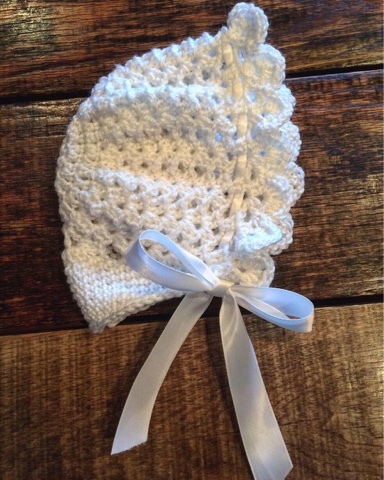 When Carlie Jean was a baby, she had a bonnet almost exactly like the one below. Her daddy always got me tickled because he said it reminded him of a dilophosaurus... you know one of those dinosaurs that has the fan frills around his head. Haha, you just have to know my husband. It cracked me up and still does when I think about it. 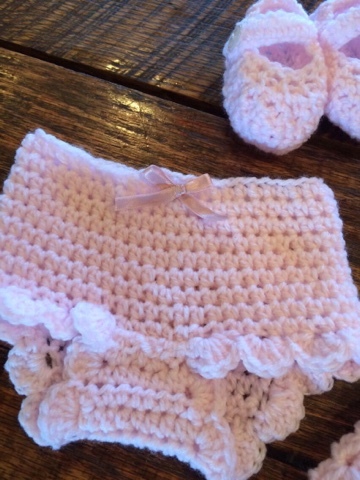 The baby bloomers have sweet tiny ruffles around each leg. 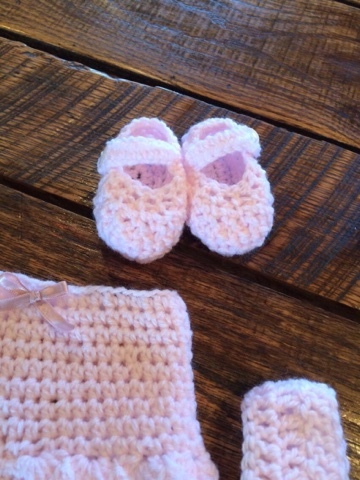 I am smitten with the mary janes in crochet style and in so many different colors. They turn out so sweet. I've been making a lot of headbands too. 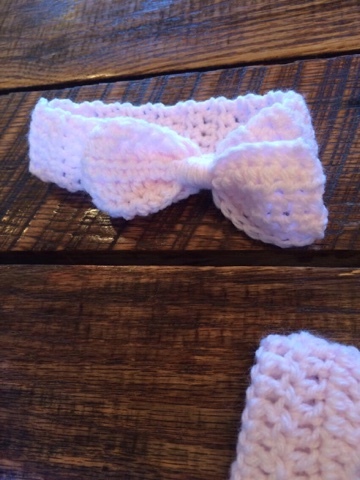 Headbands are great for warm weather babes because they don't cover the whole head, and if they don't have enough hair for a bow, this will help that Moma that wants a bow in baby girls hair. Which I LOVE!!! Such a sweet set. 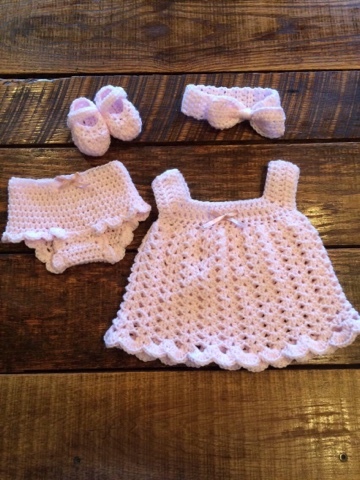 I just adore making for babies. I can't wait to finish up my next project and show you. It is outrageously cute!